Scientists know a lot about the human body and about the ears, but even with all of our technological advancements, it can be hard to pinpoint precise mechanisms. Have you ever wondered exactly what happens in your ear when you hear a sound? Are you curious about what keeps you on your feet and walking in a straight line? Most people know that the ears play a role in both hearing and balance, and that those with hearing loss often experience problems in balance. Recently, scientists have discovered a protein that enables hearing and balance in the ear. Scientists at Harvard Medical School have been trying to find out exactly which cells are involved in balance and hearing, and have been looking for a protein that helps you here. They’ve recently discovered a protein called TMC1 that is able to convert sound, along with motions of the head, into electrical signals that are sent to the brain. This information allows the brain to maintain balance, and also helps you hear. The TMC1 protein has been found throughout the animal kingdom, and now that we know its role in hearing and balance, it’s easy to understand why. This protein is found in many vertebrate species, and shines a light on how important hearing and balance are for the survival of many species. 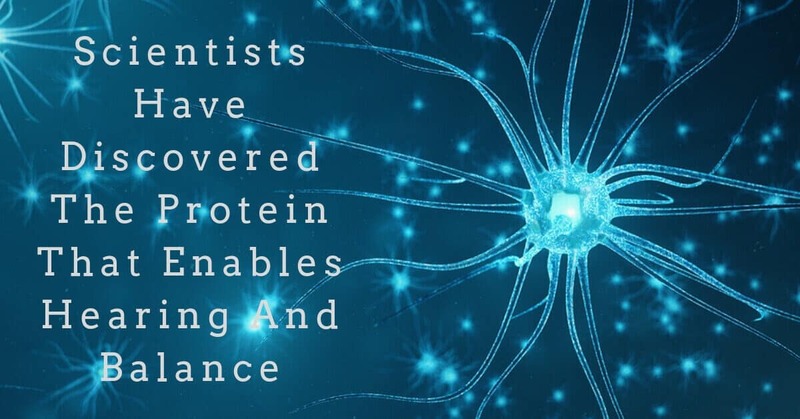 The fact that this protein is found throughout the animal kingdom is proof that this is the protein scientists were looking for, and is responsible for converting sounds waves into electrical waves. Researchers are so sure that they’ve labeled this protein the “gatekeeper of hearing”. The discovery of this protein could have implications for those born with hearing loss. 2 to 3 out of every 1,000 children in the U.S. are born with hearing loss, and understanding the TMC1 protein means that we’re closer to understanding the genetic causes of hearing loss. Mutations in this protein are one cause of hereditary hearing loss, and understanding how this protein works could be the key to treating certain forms of genetic hearing loss. Researchers are now focusing on this protein to understand how it aids in hearing and balance, and are hoping to find new treatment methods for genetic hearing loss. If you’ve been experiencing problems in hearing or in balance, visit us at My Hearing Centers for a hearing test. A hearing assessment will help us determine your hearing range, and what sounds you can hear in quiet and in noise. After determining your unique hearing profile, we can recommend the hearing device that will get your back to hearing. We work with the world’s top hearing aid manufacturers who produce the best in hearing technology. Afraid people will notice your hearing devices? We have hearing aids that are so small that they are invisible. Want the ultimate in connectivity features? We have devices that will connect seamlessly to your smartphone, and easily stream audio, phone calls, web content, or driving directions straight to your ears. Want a device that packs a lot of punch? Our discreet hearing aids come with enough power to overcome even severe hearing loss, and give you back the ability to communicate with ease. To treat hearing loss and balance issues, see what a hearing aid can do for you, and visit us at your nearest My Hearing Centers location.